Nowadays, Mobile Internet has changed the Chinese shop mostly. The appearance of e-commerce mobile applications greatly overthrows the consumption structures and patterns in Chinese society. Merchandises consumers could only buy at malls before; they can now get them by simply touching the screen, and then receive at next day. Shopping efficiency has been enhanced significantly. Personal Center page, where viewing and tracking orders, payment and other acts needed to be done, plays a key role in mobile applications of e-commerce. So far, however, far too little attention has been paid to Personal Center pages. They are complex, short of ideas, and have too many levels with unfriendly interface. 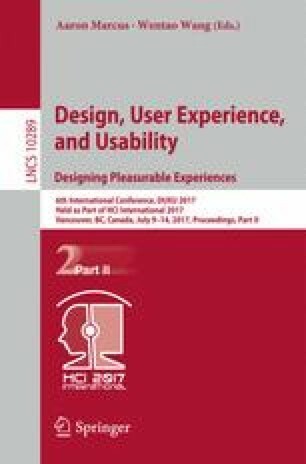 It is hard to give users good experience. Based on the Personal Center of the Pinzhi 365 mobile application, this innovation design, by the analysis of similar competing products, enhanced their accessibility, efficiency, memorability and friendliness, which create a model of innovation design in Personal Center interface. The publication of this research project was supported by the Fundamental Research Funds for the Central Universities.